On August 17, Carlsbad’s Gunther Guns received approval to construct a 16-lane indoor shooting range for which it first applied years ago. The San Diego Union Tribune reports that Gregg Gunther and wife Lisa began the process of transforming their gift shop near the McClellan-Palomar Airport in 2009. Gunther and his wife then applied to add the shooting range to their store in 2014, but were denied by the city planner over zoning concerns. 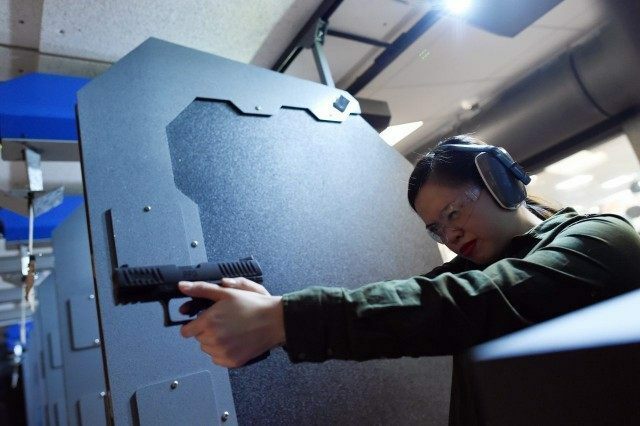 But the City Council followed up on the Gunthers’ shooting range application by “[asking] staffers to prepare an ordinance that would allow shooting ranges in some parts of the city.” The new ordinance was approved during early 2016. On August 17, the city’s Planning Commission approved the application 5-1. Commissioner Jeff Segall was the lone vote against the shooting range.